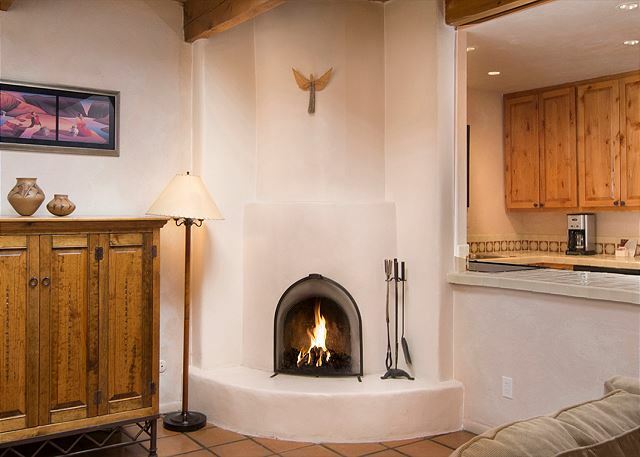 This perfectly located Casita sits among the rolling hills of Santa Fe at Artist Road on the way to Ten Thousand Waves and Ski Santa Fe. 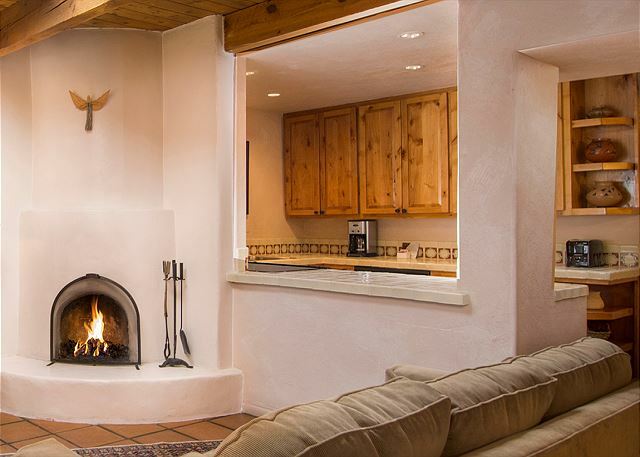 A one bedroom one bath with a King bed offers warmth in the winter from the Kiva wood burning fireplace and is cool in the summer with refrigerated air conditioning. 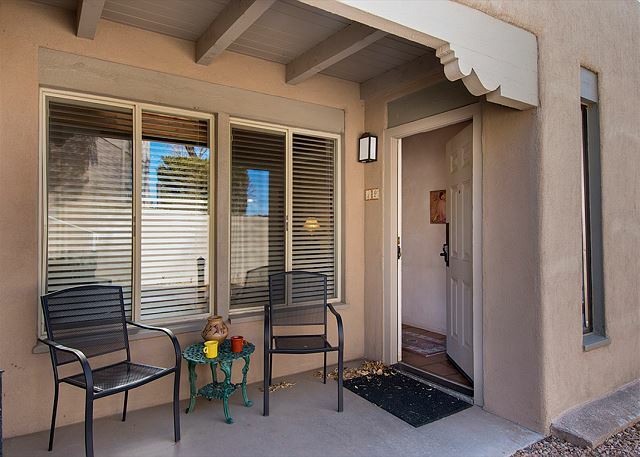 Satillo tile flooring throughout with area rugs, comfortable living and dining area, plus a wonderful, large skylight that accepts the bright New Mexico sunshine. 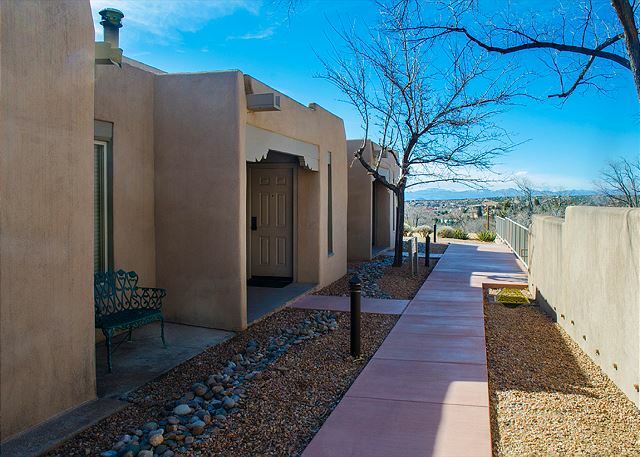 The location is ideal as an end unit with sunset views. 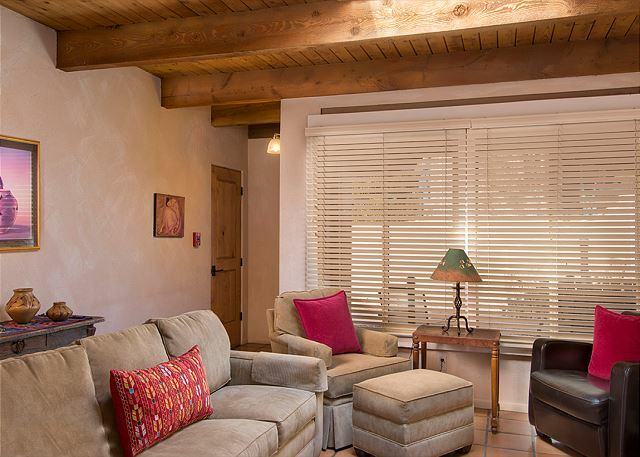 Approximately 668 square feet. Great location for a quiet relaxing vacation in a beautiful city. 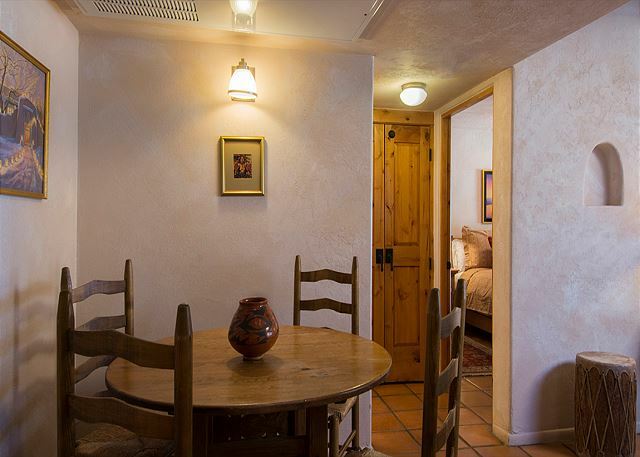 Very affordable and perfect for two. 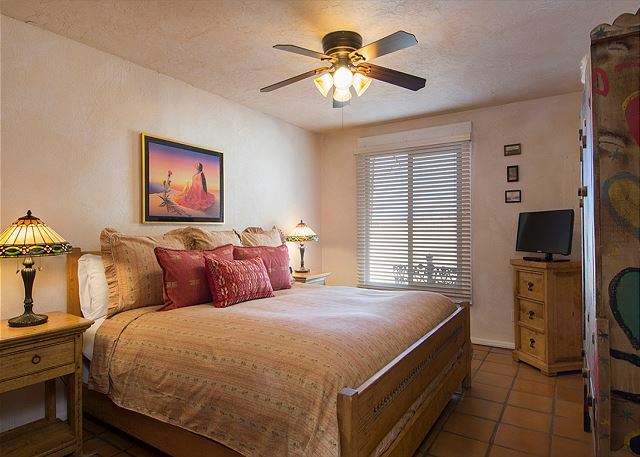 We love vacationing in Santa Fe. This place is the perfect getaway spot! 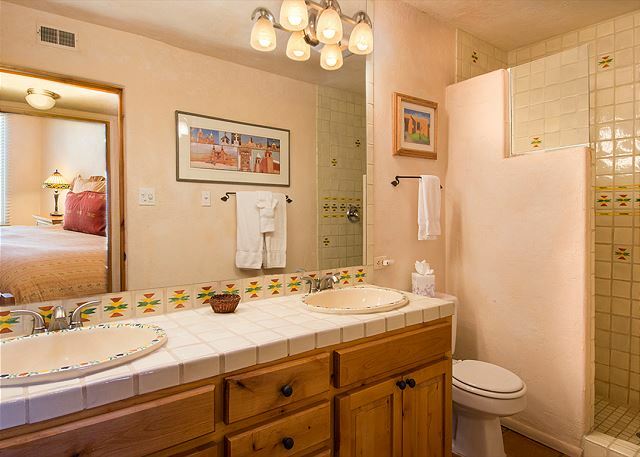 The place was very clean, exactly as described in phots, and the perfect location! Waking distance to everywhere we wanted to go. What you see is what you get and we were very pleased with this rental! We will be back. 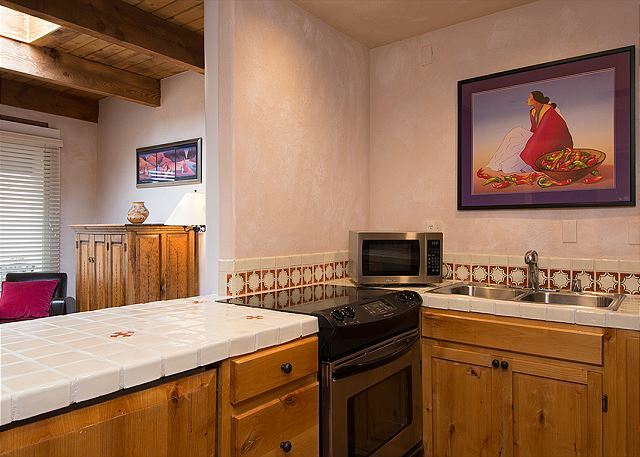 Fabulous place to stay in Santa Fe, walking distance to everything, beautiful views, big comfortable bed, new appliances, pretty tile throughout, and Santa Fe Vacation Rentals was very easy to work with, very helpful, will definitely book with them again. Pros: excellent location, clean, decent furniture, good appliances, responsive prop management co. Cons: older condo building that's really a hotel, small refrig, very loud AC unit,slight odor. Exchanges with agent went beyond expectations. Property was everything it was described as. Fresh flowers on the table upon arrival. Quiet "neighbors" around our rental, almost never knew they were there. 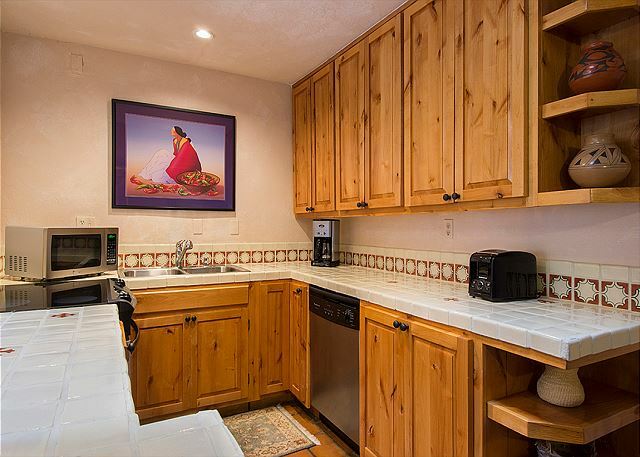 Short walk to popular attractions. Good parking!